This one is for the Twin Peaks fans in the room. 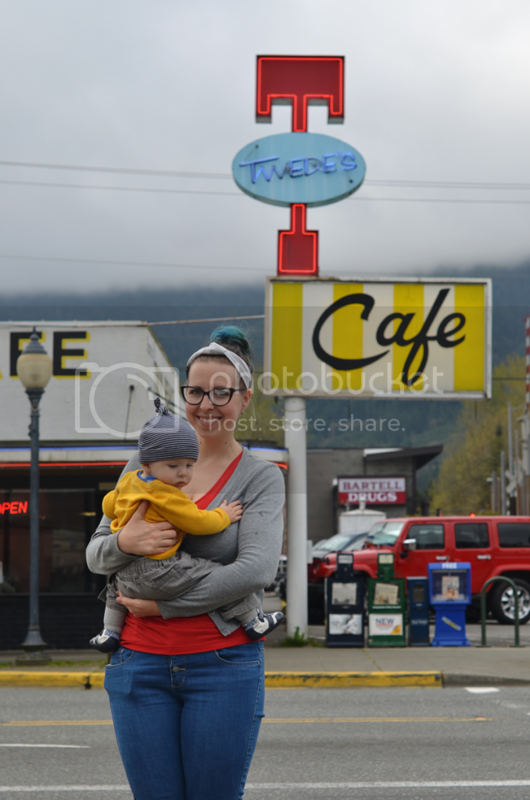 While we were in Seattle (geeze, that was a month ago now) we visited the Double R Diner, aka Twede's Cafe in North Bend, Washington. I hardly took any photos because sometimes I get a bit overwhelmed in these types of situations. Also, as we were driving away I saw a mural on the back of the building of the 'Welcome to Twin Peaks' shot. 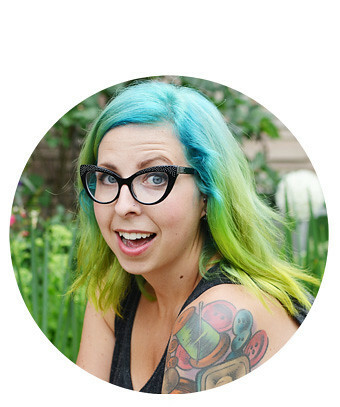 I got flustered and was like, "Oh, just forget it." 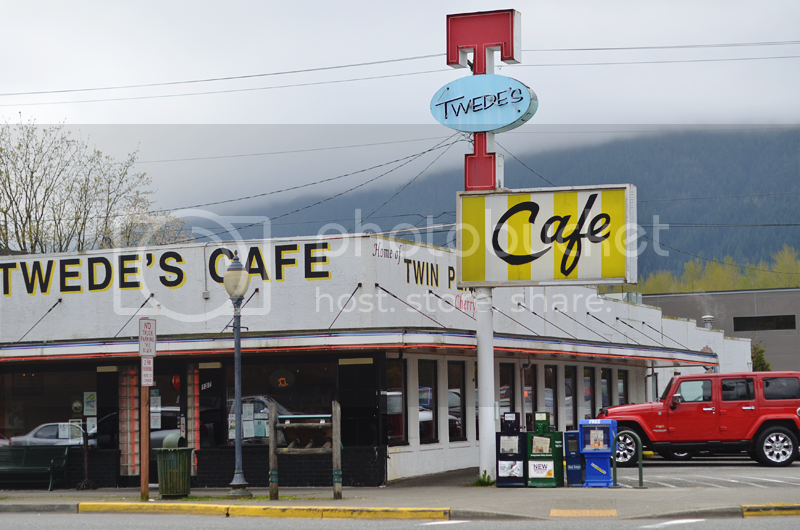 I wish we had stopped and taken some photos of that but it was just so neat to visit a little piece of Twin Peaks. That's so cool! Hey, you guys even match colors with the diner. Eheh. I noticed that when I was editing the photos. It was a happy coincidence! What a cute little diner! Very cool! Btw where'd you get Milo's super cute hat? Milo's hat is from Baby Gap. It was a sweet gift from our neighbours and I can't get over how cute it is myself. That's amazing! 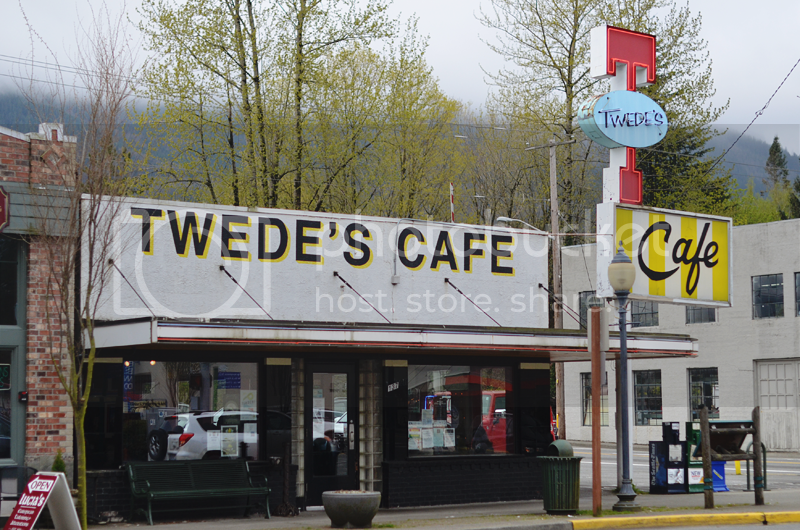 If we ever manage to make it over to the US, seeing the Twin Peaks set locations is one of the things on our list. That'a so cool, I'mean super jealous. I love Twin Peaks! Maybe next time you can get a shot of the back too. Sometimes things like that can be a bit overwhelming, it's understandable. Great pictures :) I just went here for the first time a couple months back myself. If you're ever in the area again (I know it's far!) you should check out Snoqualmie Falls too - they're only about a 15 min drive away and are the exterior location for the Great Northern! I saw that they were close by! I wish we had stopped to see them! Next time. Awesome!! Hope you guys enjoyed a cup of coffee, black as midnight on a moonless night. I'm sorry to say that after 7 years in Seattle, I never made it out to the falls or the Double R. Something to look forward to when we visit again in the future. Hehe! We actually didn't even go inside but if we did I would have definitely ordered exactly that!